Anti-Collapse mesh is a simple yet highly cost effective method of avoiding accidents in the storage and handling of pallets on and around pallet racking systems. 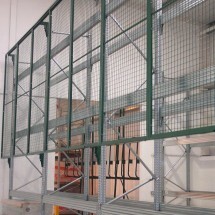 Where anti-collapse mesh is fitted to the rear of pallet racking it prevents goods from falling out of the rack and causing injury to personnel or damage to the goods. Our anti-collapse mesh is used in warehouses through out many industries from the smaller manually-operated warehouses to fully-automated picking systems. 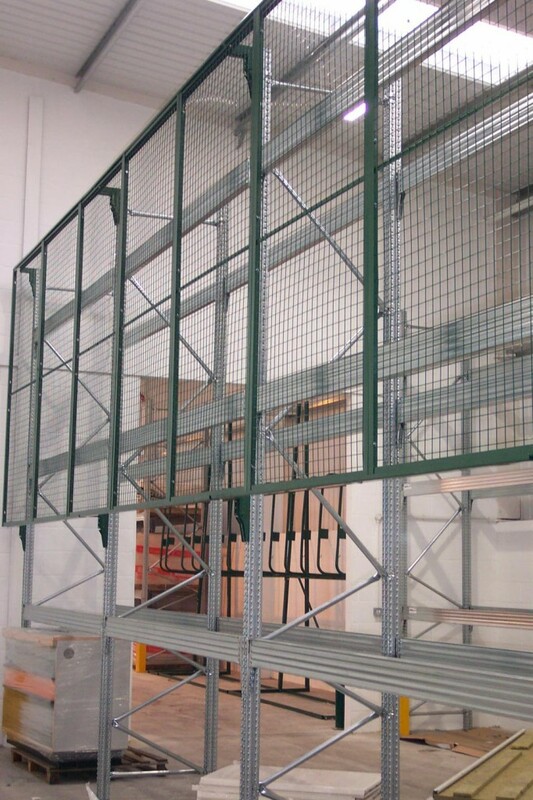 The anti-collapse mesh panels are attached to the racking uprights using brackets and then bolted together to give maximum strength and the desired width and height for the size of the pallet racking and run length. This method ensures that our anti-collapse mesh fits almost all pallet racking systems on the market today.